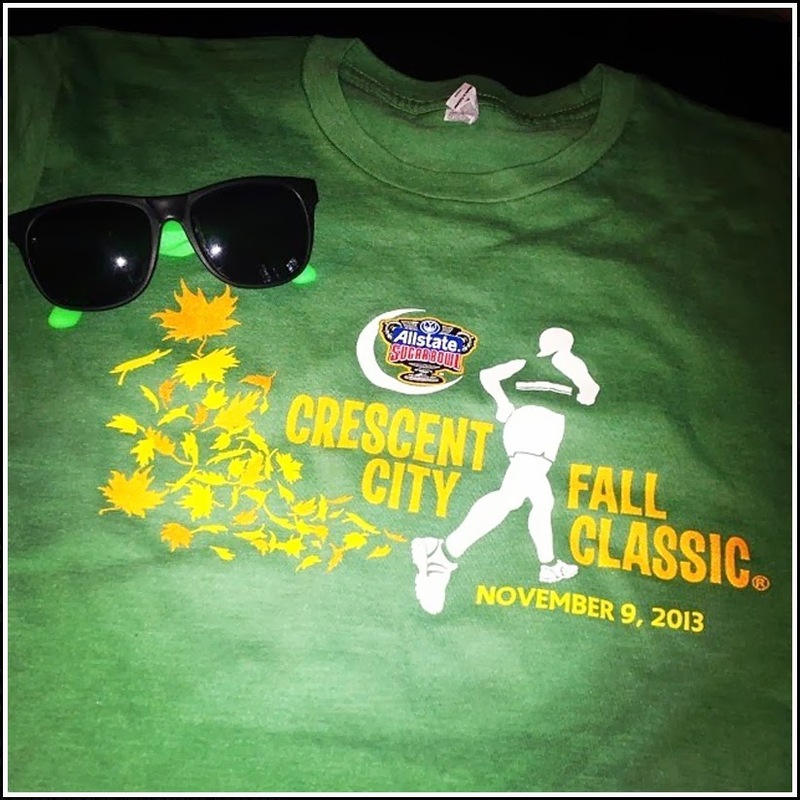 This Saturday is the Crescent City Fall Classic 5K in City Park. I'm not sure if you're aware of its importance on the New Orleans race calendar. The results of this race impact the training of runners for the next six months. It gives them motivation and goals for the NOLA racing crown jewel in spring, The Crescent City Classic 10K. I recently explained to a friend that the Fall Classic is the younger, but more mature sister to the Crescent City Classic 10K. This weekend, don't expect costumed runners, on course jazz bands, or a water station serving beer. Leave that to the party girl ways of the 10K. The Fall Classic is shorter in length, and stays on a new route limited to the confines of City Park; however, it draws some of the most serious of local runners to the starting line. These participants are using the race to qualify for a seeded position in the 10K, giving them the competitive edge during that much anticipated race. The post race party held on the practice track across from Tad Gormley Stadium will, however, be one to rival that of any other race in the city. Michelob Ultra hosts the festivities, and will feature live music by the Stooges Brass Band. There will also be free food (I'm guessing Blue Runner red beans will make an appearance) and free beer! Guests of participants are also encouraged to attend, and there is no fee! 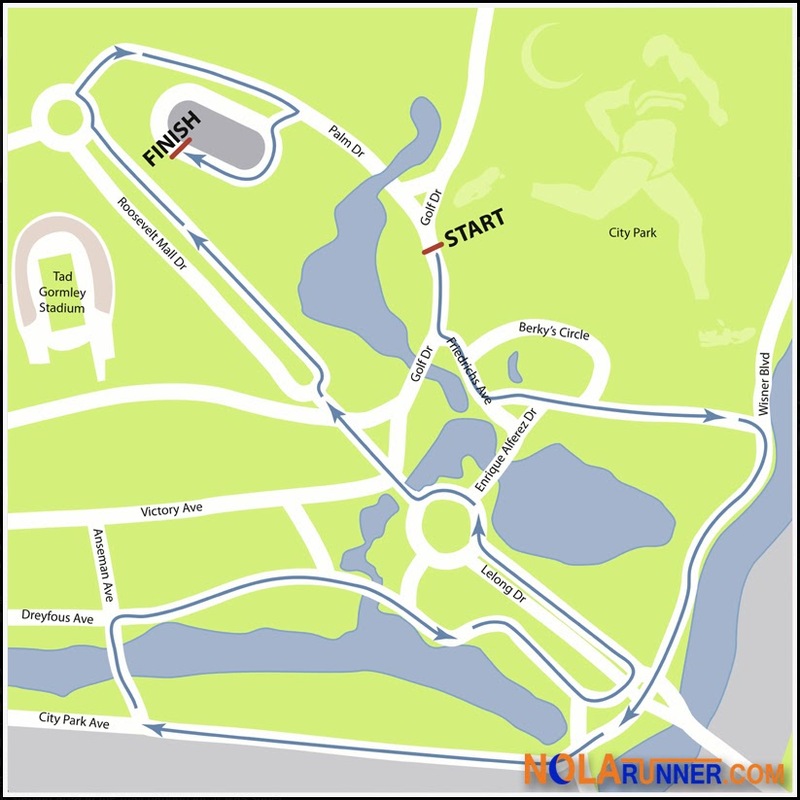 Packet pickup and registration is happening today (Friday) from 2pm - 7pm at the Peristyle in City Park. Check out full details on the race website HERE, and up to the minute announcements on their Facebook page HERE. Photo of the race shirt and course map from the Crescent City Fitness Foundation website and Facebook page.